Summer months are great for seafood. I especially love lobster. Usually my parents will cooked it Cantonese style and sometimes just plain steaming it to retain the pure and fresh meat. But it’s good to switch things up once in a while and do a lobster salad or something. I was over at H’s a bit back for a fantastic meal and one of the many great dishes she made was her famous lobster mac and cheese. 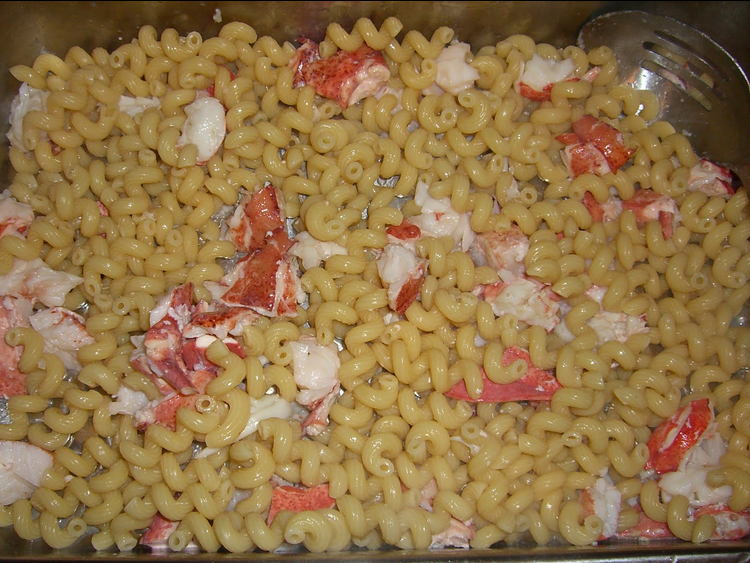 Whenever I see lobster mac and cheese on a menu, I am always tempted to order it. But I usually don’t because I have always been disappointed during the times I do order it. 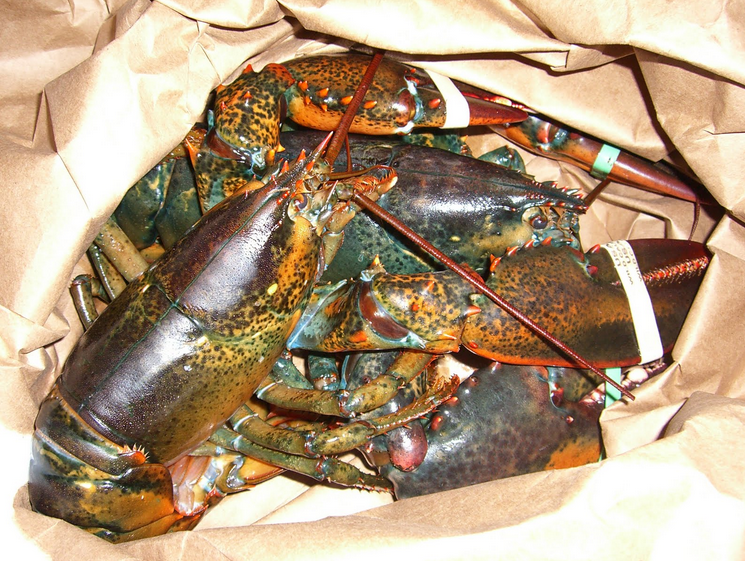 Most places usually skimp on the lobster or the lobster isn’t properly cooked or the pasta is too undercooked or overcooked. H has the magic touch though because her LMC is pretty darn close to perfection. 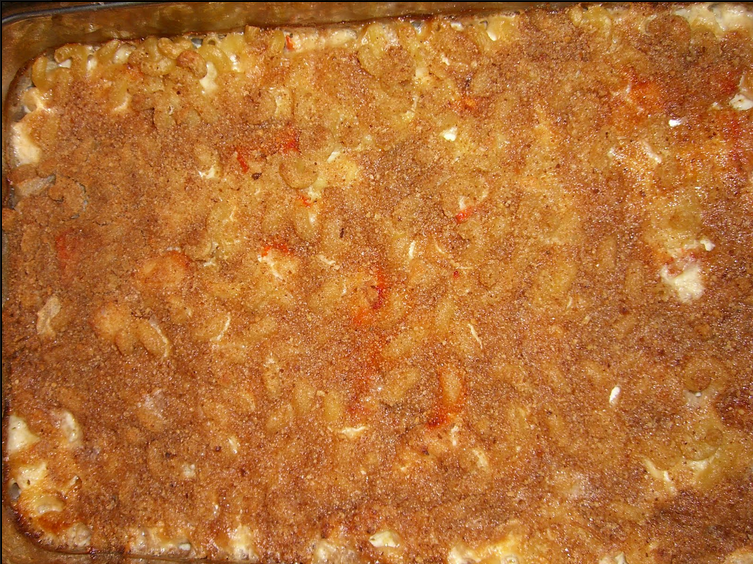 And she has kindly allowed me to share her recipe so take advantage of good lobster supply and make this, you (and your tummy) sure won’t regret it. 1. 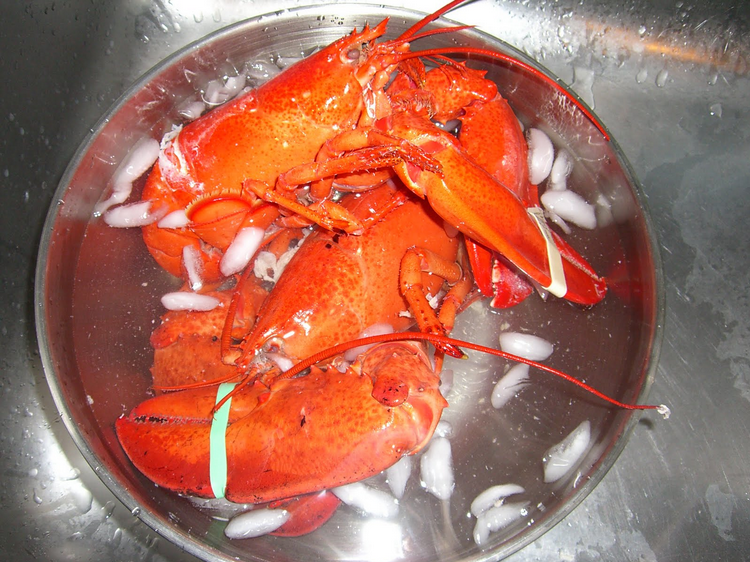 To cook the lobsters, simply steam in a large pot for about 7 minutes per pound. 2. 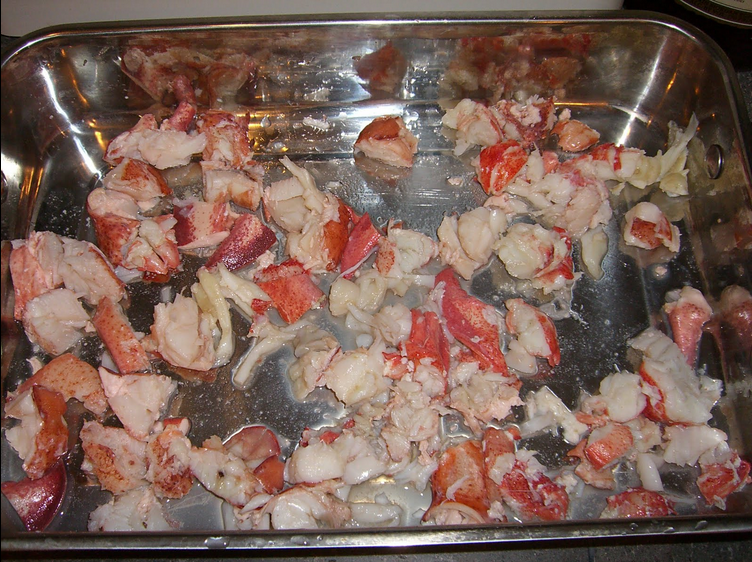 After they are cooked, throw them into an ‘ice bath.’ This is to stop the residual heat from continuing to cook the lobster. You don’t want it becoming a rubbery, chewy mess. 3. Wait until they have cool and then de-shell for all the meat. 4. 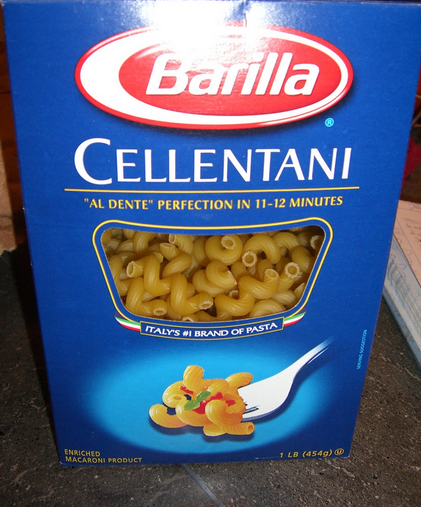 For the pasta, cook/boil it in salted water per the directions on the package. 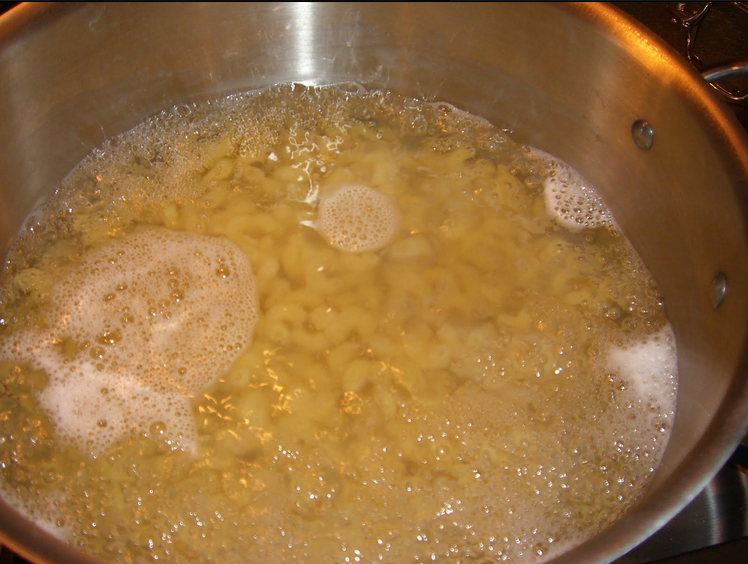 You can undercook the pasta a bit as we will still bake the dish at the end (preheat oven to 350 degrees). You don’t want to overcook the pasta. 5. 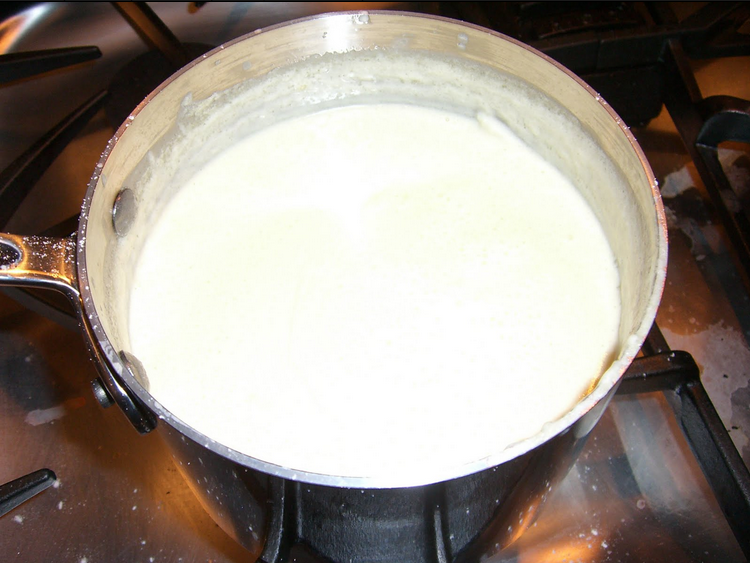 For the cheese sauce, just heat up the heavy cream while stirring in the cheese. Keep stirring until the cheese fully melts. 6. Drain the cooked pasta and add to the lobster. Add the cheese sauce and mix well. 7. 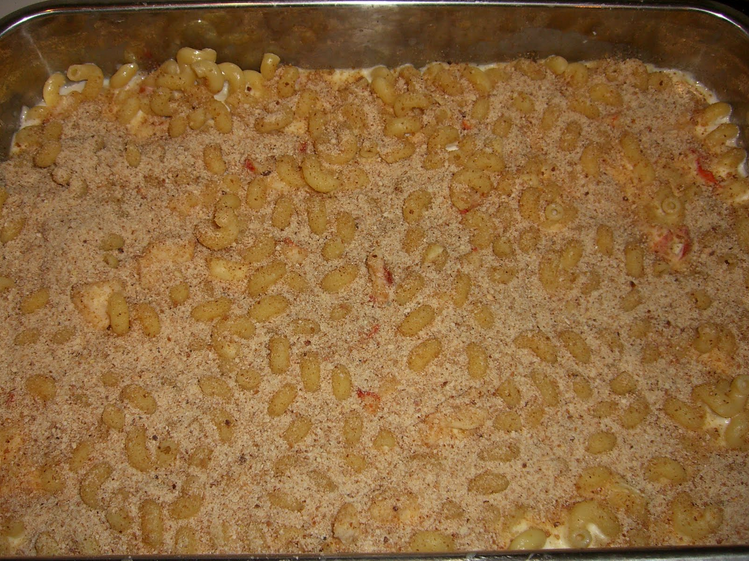 Top with bread crumbs and bake for about an hour or when you see that the bread crumbs have browned nicely. 8. Take out, let cool for a bit, serve, and enjoy the best mac and cheese you’ve had in a while! Delish! 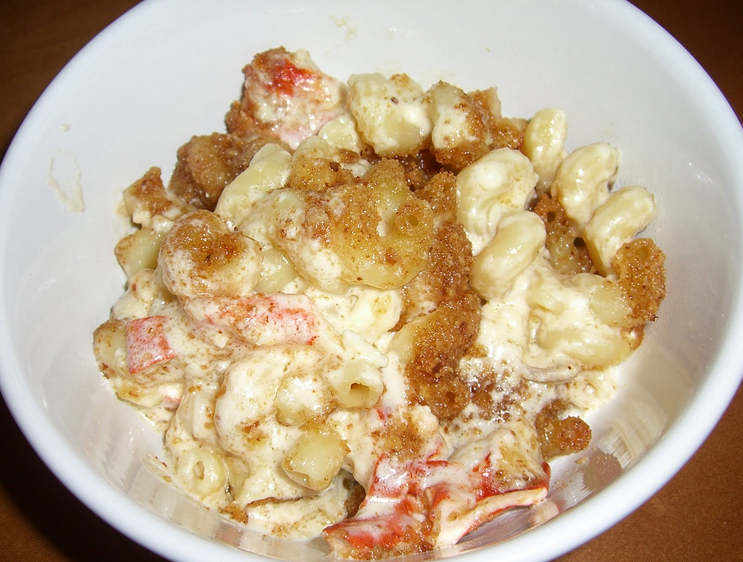 This lobster mac and cheese is creamy and rich but not too overwhelming. The pasta well-cooked but not mushy. The breadcrumb top provides a decent crunch and textural contrast. Every bite with the lobster is amazing, the flavor still pops as the cheese isn’t super strong or overpowering. Just an overall superb dish. Give it a try! How do you guys like to have your mac and cheese? Please let me know in the comments. And if you try this, let me know how it turns out! I am craving for it again. im pretty boring i always just have mac and cheese plain by itself, though i have tried it with chicken once and it was freakin amazing. I never would have thought of lobster and mac & cheese combo. It looks like something I could enjoy with the way u’ve raved about it but also how amazing the final product looks! love seeing u putting out these kinds of recipes! Ooh will try it that way too and see. I’m sure that will be amazing too. Oh yea it’s a good one. I want it again.